There are so many cute Puppies for sale at Furry Babies! We know that the word cute is completely subjective however we’re going out on a limb in this post. We just know you won’t get technical and caught up in the meaning but actually agree with us! Here’s our list of 5 of the smallest and most popular cute puppies for sale, in no particular order, based on the American Kennel Club. Get your “oohs” and “ahhs” ready! Surprise, surprise…or is it? You must have known that Yorkies would make the list as one of the AKC’s most popular breeds. Yorkies are small but full of personality. They’re quite spunky and yet affectionate. They are energetic but will chill and cuddle with you. One of their biggest attractions, besides their size, is their silky coats that are parted on their faces and flows down the sides of their little bodies. They’re picture ready always! These dogs are one of the most joyous and gentle cute puppies for sale. They’re hard to find but we’ve got them at Furry Babies. You’re sure to fall in love at first sight with these royal and little graceful dogs. When it comes to feisty tiny puppies, we found Pomeranian in the doggy dictionary! They are little, extroverted dogs who see themselves as 10 times their actual tiny sizes. Their puffy and dense coats, along with the larger than life personality makes them one of the top small dogs. Bichon Frise dogs are little white balls of fluff and we can’t get enough! They have such cheerful dispositions that go along with their friendly and soulful eyes. One look and you’ll be entranced by their inquisitive natures. They are simply irresistible! As we mentioned earlier, this list is not in any order, so don’t think for a second that anyone has ranked the Boston Terrier as last! We bet you can’t find anyone who would disagree that they belong on this list. They’re “America’s Gentleman,” after all. These beauties are silly, strong, and sturdy. You’ll be constantly amused by their expressive dark eyes. You’ll also find yourself giggling at their snorts and snoring! At Furry Babies, we hope you found this list of small cute puppies for sale entertaining! 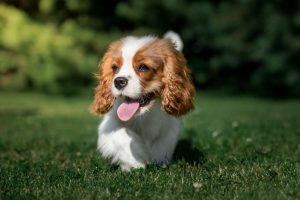 Take a look at our available puppies page to search for these breeds here furrybabiesinc.com/puppies-for-sale and then come to our store!